Whether you need reliable maintenance and repairs, a modernization, or help designing and constructing a standard or custom device, Delta is your elevator contractor of choice in Southern Ontario. Full Service: Delta Elevator designs, installs, repairs, maintains and modernizes elevating devices. 50 Years of Experience: We are Ontario's largest independent elevator contractor with a proven customer service record and 50 years of experience. Local: All of our products are designed by our in-house engineering departments at our head office and built at our manufacturing plant in Kitchener, Ontario. We can deliver your product quickly and at a lower transportation cost than items shipped from the U.S. or further. 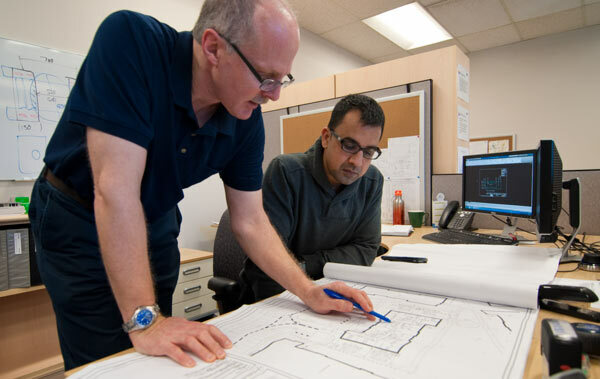 No-Charge Design Consultation: We provide no-charge design consultation to ensure you have the information you need to make the optimal decision regarding your elevating device. Knowledgeable Elevator Consultants and Service Providers: Delta offers a full-range of products—from Accessibility Lifts to complex freight elevators and high-speed, high-rise traction elevators—and can recommend the best product for your situation. Contact us today for assistance with your elevating device. YOU ARE HERE: Home About Delta Why Choose Delta?